Concrete floor restoration can save you hundreds or even thousands of dollars over concrete floor replacement. Cracked or damage concrete doesn’t always have to be cleared out and scrapped for good. In many instances, simple concrete grinding and crack repair is all you need to get years of extra use out of your concrete. 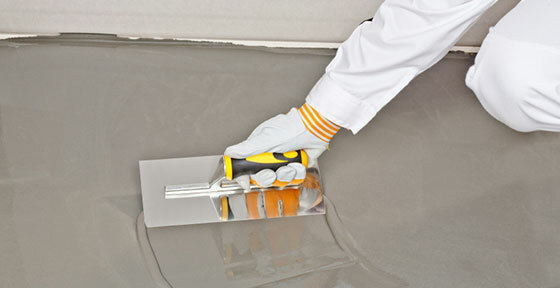 The concrete floor restorers at North American Coating Solutions are trained to work on a variety of concrete damages. Let us work with you to make your floor good as new. Call North American Coating Solutions today to learn more about our concrete floor restoration. The call is free and there is no obligation: (586) 226-9416. 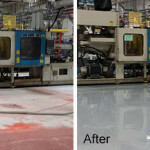 We have the best concrete floor repair specialists in the business working with us at North American Coating Solutions. Trust our family owned and operated business to repair your concrete to your high-quality standards. Whether you need a simple crack repair or a complete epoxy floor coating on your concrete, we have the tools and manpower to get the job done. Call (586) 226-9416 today for your free consultation with one of our concrete floor restoration experts. Improve the durability of your concrete and strengthen your floors with the help of concrete floor restoration. Your concrete damage may not be as bad as you think it is. With some simple solutions from professional concrete installers, you can get the most possible use out of your flooring investment. Contact us today to see what concrete floor restoration can do for you.